Many accused Kedarnath of hurting Hindu religious sentiments and felt the idea of associating such a natural tragedy with an inter-faith love affair is insensitive. 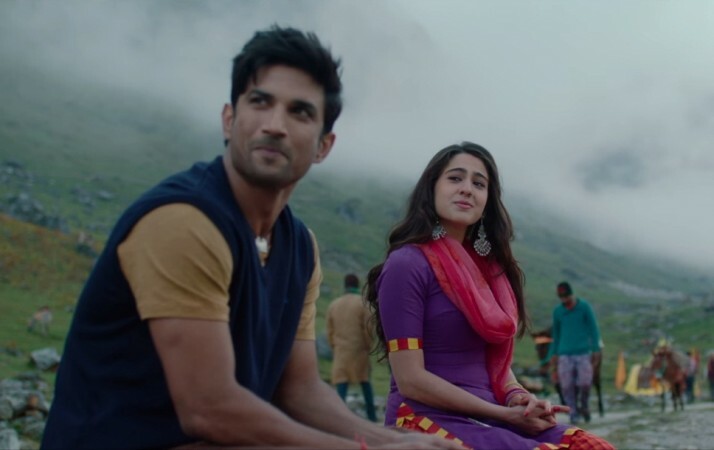 While Sushant Singh Rajput and Sara Ali Khan starrer Kedarnath is all set to release this Friday, the movie is facing backlash on social media. Slamming the storyline of the film, it is being said that the movie hurts Hindu religious sentiments. Trailer of the movie suggested that it is based on the Kedarnath tragedy that caused thousands of deaths in 2013. However, what did not go down well with many is the love angle introduced in the movie. While Kedarnath tragedy is one of the worst natural calamities that India ever faced, the movie trailer showed it happened because a Hindu girl was not allowed to marry a Muslim man. One of the scenes in the trailer shows Sara's character saying she would pray for a natural disaster to happen after her father refuses to get her married to Sushant's character. This did not go down well with many, who felt the idea of associating such a natural tragedy with an inter-faith love affair is insensitive. Some on social media even slammed the movie, calling it an attempt to encourage "love jihad". "Deeply hurt by the malicious film being made on the Kedarnath tragedy that left 5000+ dead. A calamity is allegedly being projected as the result of non-acceptance of an affair between a Muslim man & a Hindu girl. There was a crane collapse in Mecca too, try making a film on it," tweeted renowned Hindu activist, Sonam Mahajan. "By the looks of it, film Kedarnath looks like a highly insensitive piece of propaganda which will add insult to injury. Imagine thousands of those devastated families being shown that they lost their loved ones cuz an infidel didn't let his daughter marry a believer. Disgusting," she added. Many on social media opined that the movie Kedarnath involves anti-Hindu propaganda, and urged people to boycott it. It is to be noted that this film is not an official recreation of the actual Kedarnath tragedy, and hence, many countered the backlash on this ground. I’d be majorly pissed off if #Kedarnath gets banned! Just when I thought December is going to be filled with movies I wanna watch, protests have begun in the name of ‘Love Jihad’. This is disappointing! ? #Kedarnath This movie is totally making people fool.According to script writer,the enormous disaster taken place in Kedarnath is because of unsuccessful love story between Muslim boy and Hindu Girl.This promotes 'Love Jihad'.Kissing scenes at holy place Kedarnath.totally boycott. Some Hindu fundamentalist groups have also threatened to hold nationwide protests against the screening of the film. On the other side, makers of the movie have dismissed the allegations and stated that Kedarnath has no such controversial angle, but holds a message of harmony. Directed by Abhishek Kapoor, Kedarnath is slated to be released on December 7.